Background on Indian Cuisine to help you choose a book - Indian cooking is very varied and has many schools - its coastal cuisine, its tropical cuisine, its temple cuisine, its non-violent or Jain Cuisine, its Muslim cuisine, its vegetarian cuisine, its thalis, its many festival cuisines, its tandoori cuisine, its royal cuisine, its ayurvedic cuisine, its mountain cuisine, its Portuguese cuisine besides its regional cuisines. India has a world of cuisine within its cuisine. The Indian culinary landscape is mainly vegetarian. But as in every culture the need to eat global is strong. Tarla Dalal has many Indian recipes in this book but to accomodate this global food yearning she has recipes of many International dishes which she has made vegetarian. Her cookbook reflects the foods cooked in Indian homes and she is loved by most Indian women for making the recipes quick and easy. Many Indian cook books are aimed for Westerners but this book is created for local consumption - although Westerners who are seeking simple, easy and quick recipes will find her books wonderful. Tarla Dalal is considered an icon for Vegetarian cooking. Her 17 books have sold over a million copies worldwide and have been translated into many languages including Dutch and Russian. Camelia was my hero when I was growing up in Bombay. She had my dream job at the Taj Group of Hotels - Director of Marketing. I absolutely adored her and her work. I used to sneak into her office and go through the pile of magazines she kept in her office. I love her book too. She has had the opportunity to interact with the best chefs in India with her work she has traveled all over India and has marketed India to the world - this experience and her love of India and Indian food is reflected in her book. She gives great background information, ingredient information, photographs of ingredients. Many of the recipes also have great photographs. She has outlined the curries of India very aptly. Her curries reflect the curries of India - missing are beef and pork curries (except for Pork Vindaloo which is from a predominantly Catholic region of India) due to the Hindu and Muslim make-up of India. You will therefore find mutton, lamb, chicken and vegetable curries which truly reflects the Indian Curry landscape in India. If you like Indian restaurant cooking this book is a bible for you..
Indian Restaurant cooking is loved by people all over the world. The secrets of the Indian restaurant cooking have been kept with the chefs. Many people who attemp to recreate their cooking on their own are often disappointed to say the least. The issue is that the food cooked in Indian restaurants is not everyday Indian cuisine. This book has mapped out the recipes by the master chefs who have pioneered Indian restaurant cooking. 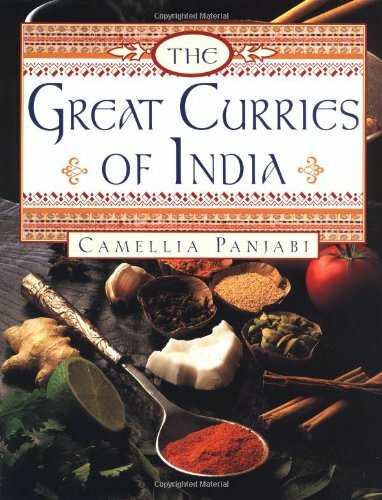 Now you can uncover many of the secrets to recreating Indian restaurant cooking in this book. Wazwaan - Traditional Kashmiri Cuisine The Indian North Indian restaurants have taken many dishes from Kashmir due to its elaborate preparation and ceremonial presentation of lavish meals, often comprising 36 courses. Wazwaan is the name of a Kashmiri feast which I have had the honor of being part of on a trip with my parents to this lovely valley. Seven dishes typically form an indispensable part of the feast - 'tabakh maaz, rista, rogan josh, dhaniwal korma, aab gosh, marchwagan korma and ghustaba, Firin and kahwah (green tea)' round off a never-to-be-forgotten culinary experience. This book has color pictures for each recipe.